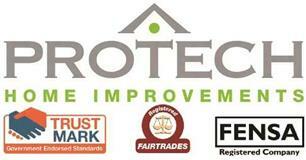 Pro Tech Home Improvements - Windows/Doors/Conservatories based in Lancing, West Sussex. PRO TECH HOME IMPROVEMENTS Established in 2004, proud members of Checkatrade since 2012, specializing in BI FOLD DOORS and CONSERVATORIES. A complete range of all types of Energy Rated Replacement WINDOWS and DOORS. All products are professionally installed and carry a Ten-Year Insurance Backed Guarantee all at very competitive prices. Free quotations with no obligation. FENSA Registered and we give a full 10 YEAR Insurance Guarantee along with all energy rated certificates. Call us now for a free advice and no obligation quote. We work in and around East Sussex and West Sussex.